Pepe actually hurt Madrid with his play, and his theatrics yesterday matched those of Busquets last spring. He got that an yellow (~16′) for a gratuitous and cheap foul on Busquets deep in Barcelona’s half, and should have got a 2nd yellow for either his playacting at 64′ after Cesc outplayed him for the ball (listen to the Sky Sports commentators), and then of course the handstamp at 67′. So really Madrid should’ve been a man down for the last 25mins. Mourinho finally had to sub him off a little after that. Even more significantly, he was completely rooted to the ground while Puyol streaked past him to score Barça’s first goal on that diving header at the beginning of the 2nd half. It seems like he lost it mentally b/c he was getting outplayed all over the field–he’s just not that good on the ball, and not quick enough to contain Barcelona in midfield.. It will be interesting to see if Mourinho sticks with him after this. Also: it looks like Carvalho was a fraction of a second pulling forward and kept Abidal onside for Barça’s 2nd goal. And then the Portuguese central defender had two really bad tackles in the final minutes of the match: one on Messi that got him a yellow, and a 2nd on Adriano in extra time that prob should’ve seen him ejected. After watching the second half of yesterday’s Clasico, I’m beginning to see Mourinho as Salieri to Guardiola’s Mozart. When a team of Madrid’s caliber gets schooled and forced into errant passes and frantic individual dribbles on offense and desperate tackles on defense, huffing shadow-chasing and hapless outreached hands pleading for offside calls that won’t come, the opposition must be touched by the divine; the divine stringing of passes, la pelota always kept just a fleeting inch away from Madrid’s lunging cleats, and importantly, the divine total defense, which at one point saw Özil attempting to dribble into the box only to be surrounded by seven (7!!) claret and blue shirts. That is the intensity of Barca’s defensive strategy, immediate ganging up on the person with the ball, so that even if an opponent manages to dribble past one, or two, they never have the time to look for the pass because there will immediately be the third, and then its back to eluding the first again. Barca’s players attack at a leisurely tiki-taka pace, and save their bursts of speed for reclaiming the ball. This zealous, jealous demand for the return of the ball is as much part of the secret of their possession as it is their immaculate passing. I want to see a team really try to take Barca on with their own style, pass for pass, tik for tak, rather than Mourinho’s vainglorious attempt to find an alternative way, trying fire against water, then air and iron, his mad doomed search for an antidote when perhaps what he needs is a vaccine? Yet another Clásico–the two Spanish superpowers meet again today, in what will be their 8th battle in the past 9 months (see table below). Real Madrid hosts Barcelona at the majestic Estadio Santiago Bernabéu, for the first leg of their Copa del Rey quarterfinal tie. Kickoff is at a very Spanish 10pm in Madrid, which corresponds to 4pmET/1pmPT here in the US (where ESPN Deportes and GolTV will be televising the match, and ESPN3.com will be streaming it live; see livesoccertv.com for additional TV listings). But the “yet” is telling–after all those intensely anticipated and intensely played matches over the past year, even we have Clásico fatigue. It does seem like the buildup to this one is muted compared to the previous matches, perhaps because it’s a Copa del Rey quarterfinal. The domestic cup competition is certainly a distant third in importance to these teams, far behind the Champions League and La Liga titles. It’s one thing if these two were meeting in a one-off final for the Copa, as they did last April, in what turned out to be a thrilling match (see our detailed breakdown of the film from that match here and here). But for them to have to meet twice more in the quarterfinals just seems a bit..unseemly. Confirming that Clásico fatigue has set in, on this past Monday’s Guardian Football Weekly podcast Sid Lowe called in from Spain to the crew in London, as he usually does to commentate on all matter relating to Spanish football. Listen from the 29′ minute mark–he first reports on Madrid and Barcelon’s recent less-than-stellar recent form. Madrid came from behind last weekend to win 2-1 against lowly Mallorca, via goals from Higuain and Callejón (more on Callejón below). Meanwhile Barcelona were down 2-0 at home against Real Betis before ultimately winning 4-2 (and that after they’d points earlier this month in a yet another draw against local rivals Espanyol in the Catalan derby), and slips in this interesting analysis: “Betis were great..Betis really went for Barcelona. I think they showed that if you put pressure on Barcelona high up, and you get at those players who quite aren’t so good at bringing the ball out and maintaining possession, in particular because Pique wasn’t playing, then you can actually cause Barcelona some problems.” We’re curious who “those players” refers to–Mascherano? In any case, Pique is expected to be back in the traditional center back pair with Puyol, so it’s a moot point for today’s match–but something to keep in mind. Will Casillas compañera Sara Carbonero need a (caffeinated) café con leche to stay awake for today's Clasico? 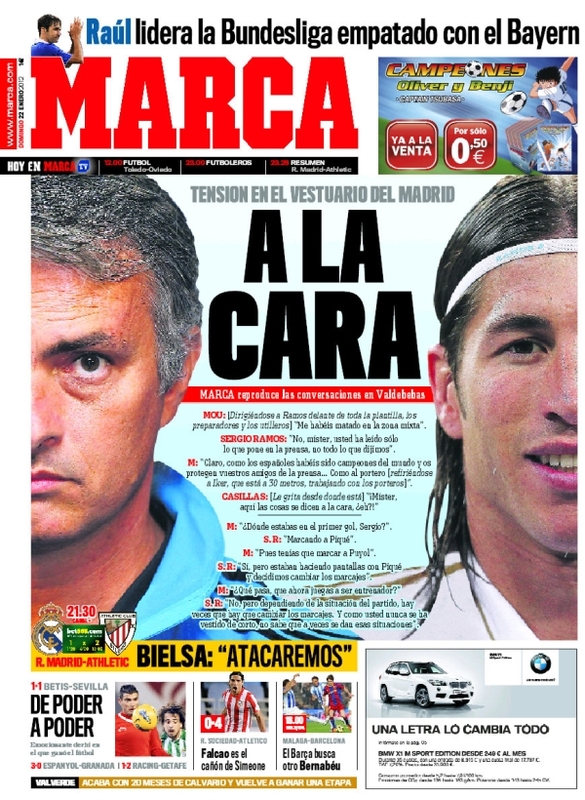 Well, today’s decaffeinated match, most eyes will of course be on Messi and Ronaldo. As well they should be. But a soccer team is really a complex system. Certainly there are moments of individual brilliance, especially, as we’ve seen, from players like Messi and Ronaldo. But those moments have to happen within the context of the team. 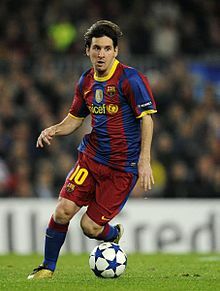 So watch Messi–but watch his movement off the ball as well as on it, and watch his combinations with Xavi and Iniesta especially. 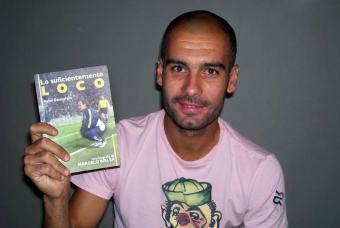 Further deep, watch Busquest–probably the least-liked Barca player, but an essential one. He’ll drop deep at times, into the center of defense with Pique and Puyol (especially when the wingback, Dani Alves and likely Adriano, get forward for width in attack); he’ll be called on to intercept and tackle to break up the opposition’s attack; and he’ll initiate the Barcelona moves forward, combining as well with Xavi and Iniesta in the center. On the opposite side, it sounds like Sami Khedira (defensive/holding midfielder) and Angel di Maria (attacking winger) are out for Madrid due to injury. They are key players for Madrid, but the Galacticos have talent in reserve. We’ll likely see Ozil in the center ahead of Lass Diarra and enforcer Pepe (they’ll be tasked with trailing and tackling Messi), with Ronaldo on one wing and youngster José Callejón on the other. Callejón slipped into the starting lineup in Madrid’s latter, largely meaningless Champions League group stage matches–and started scoring at such a clip that he’s continued to start. He’s 24 years old, came up through the Madrid youth system, but then went to Catalonia for a 3-year stint with Espanayol, before returning to the fold this summer. 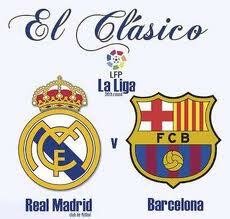 What to Watch This Weekend: El Clasico! Another El Clasico is upon us–Real Madrid hosts archrivals FC Barcelona at the majestic Santiago Bernabeu for a Saturday night La Liga match (kickoff is at 10pmCET/9pmGMT/4pmEST). Only Messi is a certainty for the front three, and his position is uncertain – he could play as a false nine, or on the right, as against Milan. He will probably be used with one wide forward (Pedro Rodriguez, Alexis Sanchez, David Villa, Isaac Cuenca) and one deeper, more central converted midfielder (Iniesta, Cesc Fabregas, Thiago Alcantara). Three forwards might be too direct and not strong enough in midfield, whilst Messi and two midfielders wouldn’t offer enough penetration. Fabregas and Pedro is a decent bet – but Pedro might not be fit. Cuenca would be a bold move, but he’s the closest to what Pedro offers, in terms of excellent positioning and movement from wide. “If I can’t hunt with a dog, I will hunt with a cat”. Mourinho’s remark has become legendary — analyzed and counter analyzed endlessly. This season, it has come more clearly into focus. Karim Benzema and Gonzalo Higuaín have different qualities: Benzema is far more technical, a better player in the absence of space, when you need tight passing and close skill; Higuaín applies greater pressure and is swifter on the break. The decision as to how Madrid play — will it pressure higher as it has done most of this season or lie a littler deeper waiting for Barcelona, employing the speed of counterattacks that sets it apart from any side in the world? — will go a long way to deciding who Madrid play. We’ve been remiss in posting our weekend TV guides the past couple weeks. This weekend we offer a belated and truncated version, consisting of a single match that’s kicking off in just a few hours: La Liga’s late match on Sunday, Athletic Bilbao hosting FC Barcelona, kicking off at 8pm in “la Catedral de futbol” Estadio San Mamés (which corresponds to 2pmET; televised in the US on ESPN Deportes, and also available via ESPN3.com). Why only this match? Well, there weren’t any other matchups in England or across the continent this weekend that stood out as must-see TV. But this one is interesting on multiple levels. But it’s not only Barcelona. It’s also Athletic Bilbao–the Basque team which aspires to be one of the “alternatives” to the Barcelona/Madrid axis of hegemony in La Liga, which is newly managed by a crazy genius Argentine whom Pep Guardiola considers one of his managerial inspirations–to whose house in Argentina Guardiola made a pilgrimage when he was considering a career as a manager. His name is Marcelo Bielsa, his arrival in Bilbao was highly anticipated, and his tenure there started terribly: two draws and three losses in their first five league matches. But they started to turn it around at the beginning of October, which prompted both of the Guardian’s cerebral football columnists Sid Lowe and Jonathan Wilson to devote columns to Bilbao under Bielsa. Marcelo Bielsa is a little less loco this morning. His Athletic Bilbao team won a game on Sunday and not just any game but the Basque derby:Real Sociedad versus Athletic Bilbao under the midday sun on the Bay of Biscay, Euskadi’s biggest match and one of Spain’s, too. For the Argentine manager’s nickname is “loco Bielsa”–an eccentric genius who before this season had not managed in Europe, aside from an aborted stint at Espanayol back in 1998. But in the intervening 12 years he made his mark managing first his country’s national team (1998-2004) and then rival Chile’s (2004-2011); he resurrected the latter, taking them to 2nd in South American qualifying for South Africa, and Zonal Marking called “Bielsa’s Chile the most tactically-exciting side” going into that World Cup. Spaniards are fond of telling you – if you are English anyway – that Athletic is the most English of clubs. Visit San Mamés and it is hard to disagree. Athletic is the home of the giant defender and the battering-ram striker, of rain and mud, and roaring fans, of long balls and powerful headers. It is summed up in arguably the most famous remark ever uttered in Spanish football history, when José María Belausteguigoitia shouted: “Give me the ball, Sabino, I’ll flatten them” and promptly flattened them. That was at the  Antwerp Olympics and came to define the “Red Fury”, the Spanish style that was Basque. Bielsa was trying to change the approach; he was also trying to change one hundred years of history, and at the proud club that probably feels its history more keenly than any other. Athletic is a club with a clearly defined style of its own. The bowler-hatted figure of Fred Pentland, the Englishman who coached them through the glory years of the 20s and early 30s, still looms over the club, as an exhibition in the museum at San Mames makes clear. He first instituted a direct approach, favouring a robust, “English-style” centre-forward, a tradition that endures in the shape of Fernando Llorente, a remarkable combination of finesse and muscularity. But he describes Bielsa’s model as potentially complementary to this direct approach–a style of “vertical football” defined as “getting the ball forward quickly without necessarily resorting to aimless long balls”–but combined with hard pressing high up the pitch (more on this tactical philosophy much further down below, and also in a Zonal Marking post from August titled “Bielsa set to thrive in Bilbao“). Leo scores 202 goals for Barcelona. Incedible. Pelé, in a recent interview, called Lionel Messi the best of the current generation, but saved the ultimate all-time-best plaudits for himself, referring to himself in the third person throughout (naturally). The royal we, we were amused. Messi has been incredible for Barcelona. Less so, perhaps, for his home country but give the guy a break. Perhaps that makes Messi and Pelé inversions of one another, in a way. Pelé, meet Bizarro Pelé, or perhaps the other way around. Question: The musical accompaniment, does it drive you crazy or not? Discuss. I recently checked myself into a piano trauma hospital. I’m not saying there’s a direct causal connection. Except I am. There aren’t many bigger clubs than Barcelona and AC Milan, so it’s quite a pleasant surprise to have them meeting on Matchday 1. Unless there are some serious surprises over the next couple months, they should finish 1-2 in their group–it’s hard to imagine either of slipping behind Zenit St. Petersburg or Cyprusians APOEL FC (see our run through today’s fixtures for a full account of what APOEL is an acronym for)–so their two matches should be crucial, determining who finishes atop the group and gets the better seed going into the knockout stage (which doesn’t start until five months from now, in Februrary). 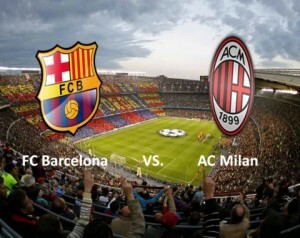 Frankly, though, it will be a quite a surprise if Milan finish with more points than Barcelona. The latter are, of course, as you’ve likely been hearing ad nauseum, one of the greatest club sides in the history of the game: two Champions League titles in the past three years, plus La Liga champions in each of those three years. All achieved with not only an incredible collection of talent–led of course by Lionel Messie–but with a tactical style that could very well be the next evolutionary step in the game. On the other side, Milan have the history. 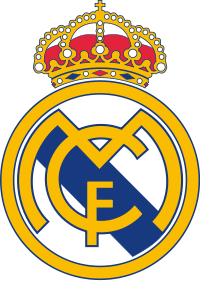 They are seven-time winners of Champions League (1962–63, 1968–69, 1988–89, 1989–90, 1993–94, 2002–03, 2006–07), second only to Real Madrid (see the list); and eighteen-time winners of the Serie A title (tied with crosstown rivals Inter Milan, behind Juventus’s imposing total of 27; list). But although the current Milan side was top of the table in Serie from start to finish last season, they don’t feel particularly imposing. In the Champions League last spring, they were knocked out of the Round of 16 by Spurs, who were subsequently exposed by Real Madrid (and in the Premier League) as not an especially strong side themselves. They’ve got a big name multinational strikeforce–Pato, Inzaghi, Ibrahimovic, Cassano, Robinho–but they don’t come across as big game players (aside from perhaps the aging Inzaghi). Ibrahimovic is out for today’s match due to injury, so it will likely be Pato and Cassano partnering up front. Behind them, are they still going to rely on Clarence Seedorf to give them some presence in the midfield? Probably not–against Lazio in Milan’s Serie A season opener against Lazio, they played Ghanaian Kevin-Prince Boateng in an attacking midfield role, ahead of Alberto Acquilani (recently returned to Italy on loan from Liverpool) and hard man Rino Gattuso. It will be interesting to see if those three can manage to contain Barcelona’s midfield. Somehow we think it unlikely, given that no one else has managed to over the past few years. Xavi, Iniesta, new arrival Cesc Fabregas, Sergio Busquets pushing forward from his holding role, Lionel Messi dropping deep from his center forward position, Dani Alves and Adriano flying up the wings..there’s a lot there to deal with in the middle third of the pitch.